small t-shirt high quality 50/50 cotton blend very soft short sleeve heavy 6 oz material. Heavy 6.1 oz Hanes or Gildan pre-shrunk cotton blend; Ultra tight knit surface. Seamless double-needle collar. Taped neck and shoulders. Double-need sleeve and bottom hems. Quarter-turned to eliminate center crease. Short sleeve, no pocket, crew neck -- Officially Licensed by Flying Crown Ent. 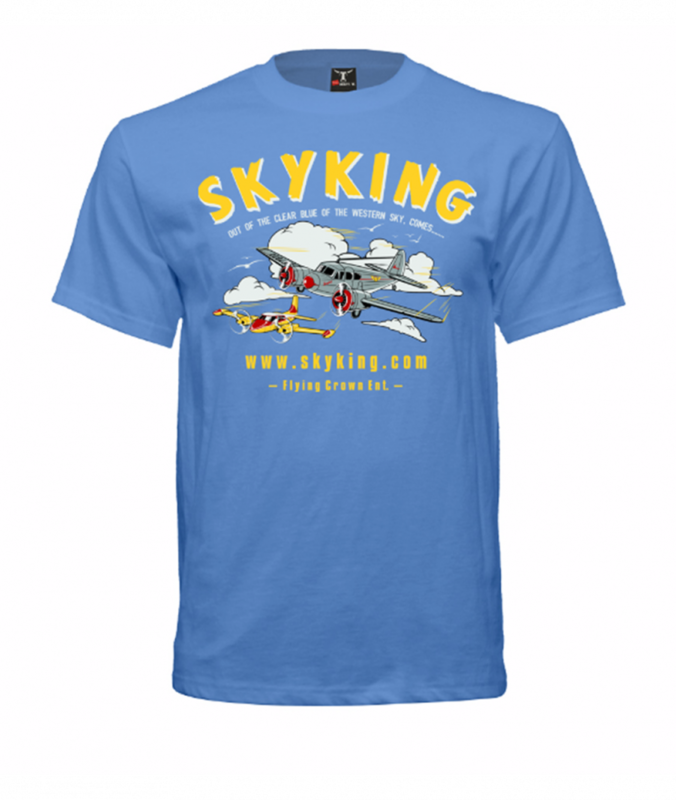 "Out of the Blue of the Western Sky, Comes ........ Sky King ! !